Every year, the holidays sneak up on me. I have huge plans to be intentional and meaningful with activities leading up to Christmas and Easter, but then the day comes and I realize I didn’t do much of anything. That probably has something to do with the ages of our children and the numerous days that leave me feeling overwhelmed. Just maybe. That’s why I love how Truth in the Tinsel, that we used at Christmas, is set up. Amanda tells me exactly what I need and when I need it. My kids love the art activities, and they are learning Truth that stays with them. There’s just something about working with your hands while learning concepts that makes it stick. Not to mention my kids are little sponges. They absorb everything. Whether it’s a Bible lesson or a show on television. I would much prefer the Bible lessons, but there are definitely days when they absorb more television than Scripture. I am SO excited to tell you that Amanda did it again! She just released A Sense of the Resurrection: an Easter Experience for Families!! I can not wait to start this with our family. There isn’t a set schedule to follow, which is kind of nice. You can either do two activities per week and start next week, or do one activity a day the 12 days leading up to Easter. And there’s this super cute pendant printable!! 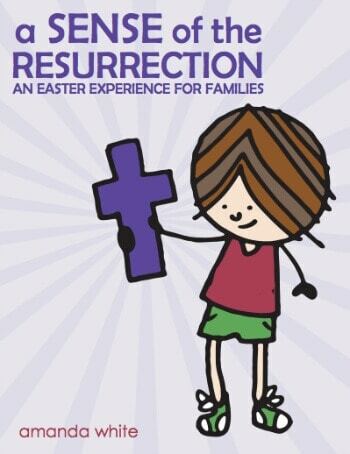 That’s exactly what A Sense of the Resurrection: an Easter Experience for Families will help us do as a family. It’s not a one and done kind of activity. These activities will help cultivate conversations about faith, truth, and ultimately point our children to Jesus. 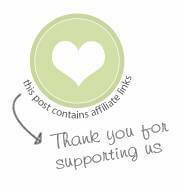 If you decide to purchase the eBook for your family, I would LOVE for you to come back and tell us about your experience! We’re not in this alone. Let’s do this together.